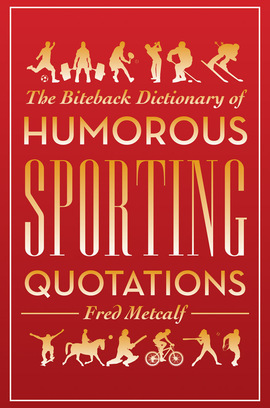 Playing sport, watching it and commentating on it have all provoked endless mirth and some unforgettable rhetorical flourishes, the best and most enduring of which can be found here in the sparkling Biteback Dictionary of Humorous Sporting Quotations. Fred Metcalf has collected these laugh-out-loud funny contributions from the world of (mostly) athletic competition. Sardonic observations and unintended gaffes connected by a love (and sometimes hate) of anything from Cricket to Climbing and Fishing to Football make this book an essential companion for anyone with even a passing interest in the hobbies and games that we call ‘sports’.